If you're having trouble with your skin and need more than just the ordinary home based skin treatment solutions, facials and chemical peels may be the ideal solution for you. These treatments work so well because they eliminate problems instead of temporarily masking them. 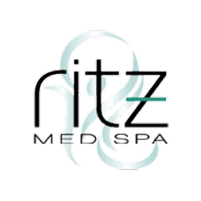 Facials and chemical peels at Ritz Med Spa in Franklin, Tennessee, can be customized for your individual skin care needs and skin care conditions. Our experienced aesthetic providers are happy to help you achieve beautiful glowing skin. Call Ritz Med Spa to schedule your facial or peel. How Often Can You Have a Facial? Monthly facials can help keep your skin in the best possible condition. Ritz Med Spa also offers a monthly facial club, allowing you to try out a new specialized facial for just $100 per month. A chemical peel is a skin treatment that's designed to target the uppermost layers of skin. Many patients have serious skin damage due to sun exposure, aging, acne, or other reasons. This damaged skin needs to be treated in order for the healthy skin below it to emerge. A chemical peel sloughs off the dead and damaged skin. It can help with fine lines and wrinkles, acne scars, sun damage, and more. What are the Ingredients in Chemical Peels? This can vary widely, but most chemical peels contain some type of acid. Glycolic acid is a common chemical peel component because it's highly effective at penetrating the dead and damaged skin layers quickly. Glycolic acid peels are very helpful for aging skin, as they can treat lines and hyperpigmentation. Another type of acid often used in chemical peels is salicylic acid. It's especially effective at dealing with chronic acne and acne scars. Other types of acids in chemical peels can include alpha-hydroxy acid, fruit acid, lactic acid, and trichloroacetic acid. Peeling after a chemical peel varies based on the type of peel. You'll need to use quality skin care products and avoid the sun while peeling. The strongest peels may require a week or two of peeling time. The lighter peels may need only a few days of peeling time. The Ritz Med Spa chemical peel practitioner will help you plan for peeling in the easiest and most effective way possible.